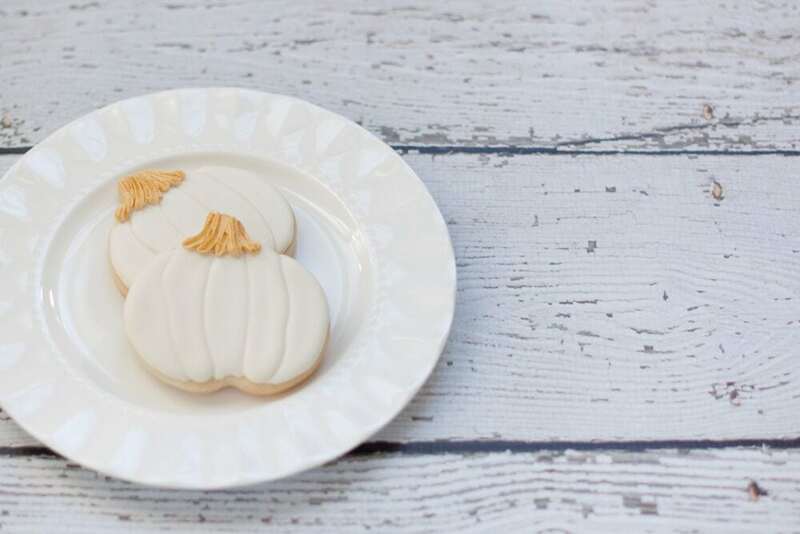 It’s no secret that we love everything pumpkin here at BFFF! Especially when it’s dessert, who doesn’t love sweets?! Not only do they look amazing, they are delicious. 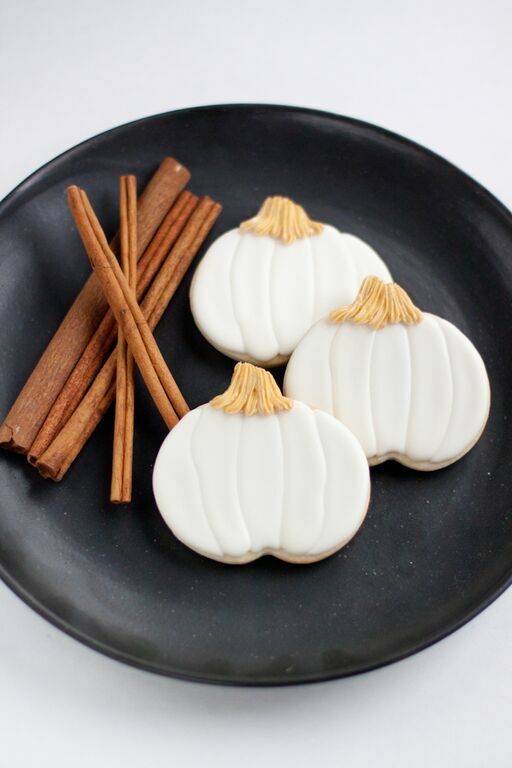 These cookies are great for a halloween dinner, to hand out as party favors, or just to have around home for a snack! Check out her delicious recipe below. 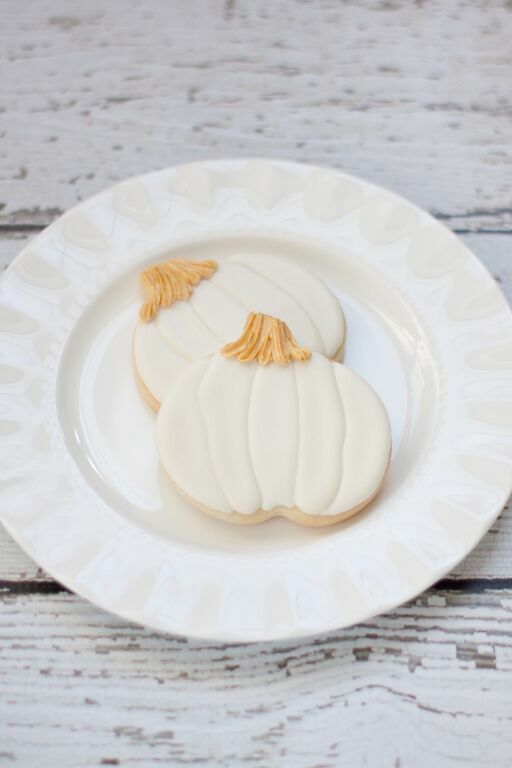 Sugar cookies – I used this cookie cutter from Wilton, but any pumpkin-shaped cutter will do! 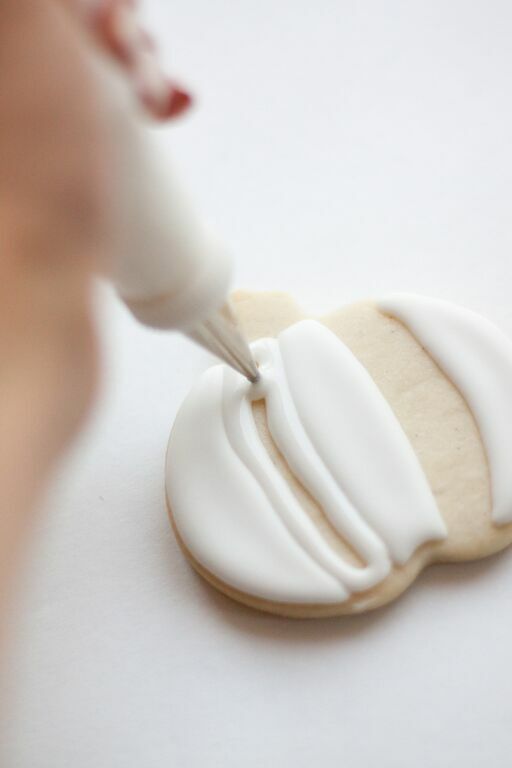 Using your white royal icing (fitted in a piping bag with your coupler and #2 tip), outline a small middle section of the cookie; about 1.5cm or 1/5th of the cookie in size. These don’t have to be perfect, as pumpkins naturally have some variation. 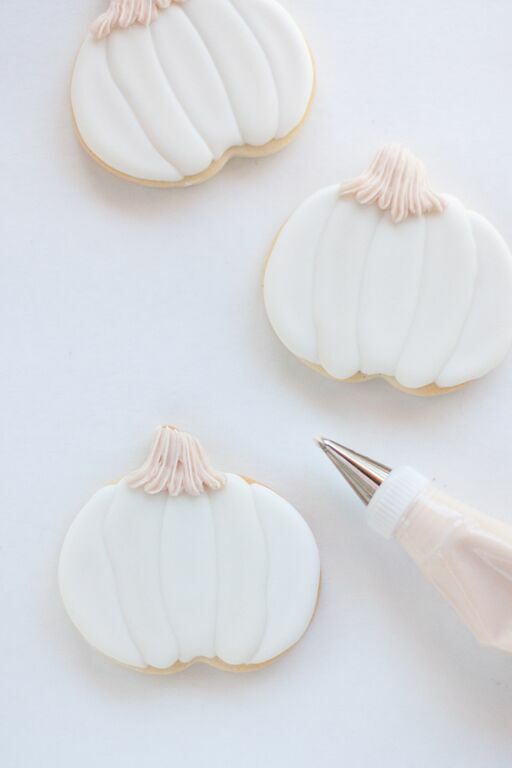 Immediately fill on (or “flood”) the inside of your outline with icing. Use the toothpick to evenly distribute the icing so that it lays flat. Side note: Be careful to agitate only the icing when using your toothpick, and not scrape the cookie surface. Scraping the cookie can sometimes result in butter leech, which means your icing won’t dry properly! Outline and flood 2 similar-sized sections on each end of the cookie, leaving a space in between them and the middle section. Wait at least 2 hours before proceeding to the next step. Repeat process for the remaining 2 sections. Allowing the prior sections to dry first creates a sort of “quilted” effect with the icing. Again, wait at least 2 hours before proceeding to the next step. 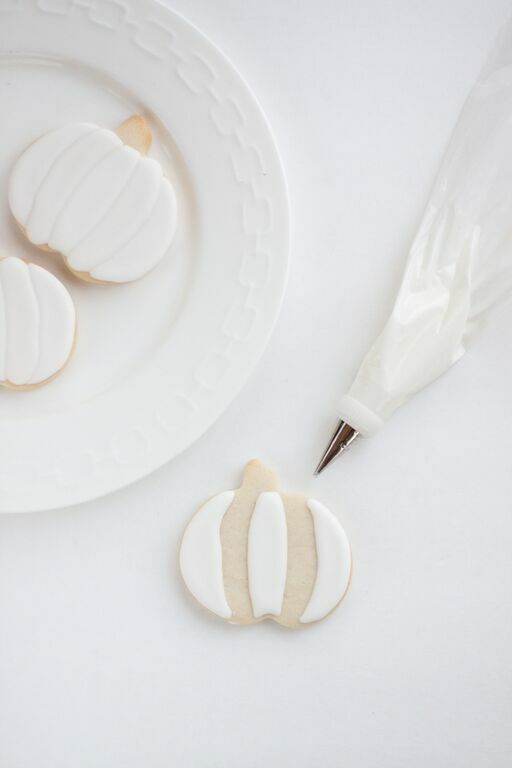 Using your beige royal icing (fitted with #16 tip), pipe lines at the top of the pumpkin to create the “stem”. 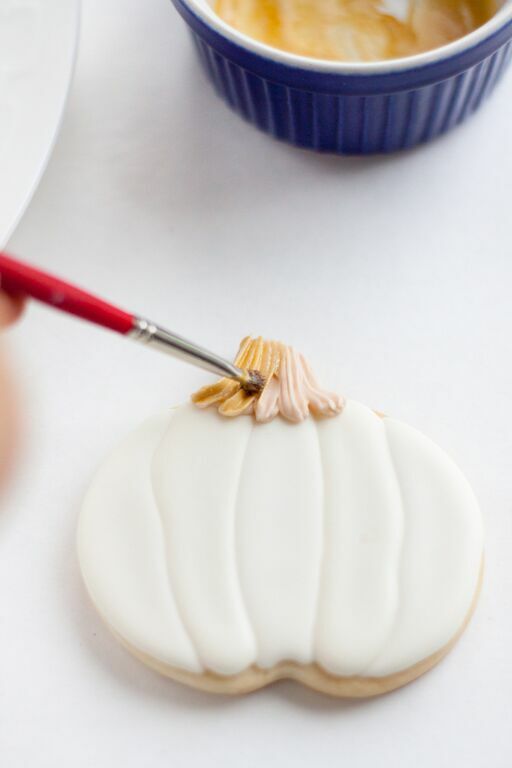 Since this icing is quite thick, wait 6 – 8 hours before proceeding to the next step to ensure that it’s dry enough to paint. 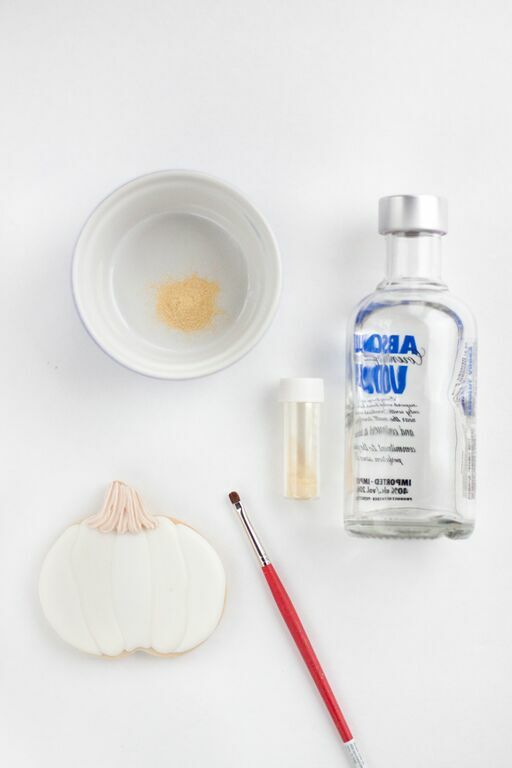 Mix some pearl dust with a few drops of vodka in a small bowl. Paint the stems gold. 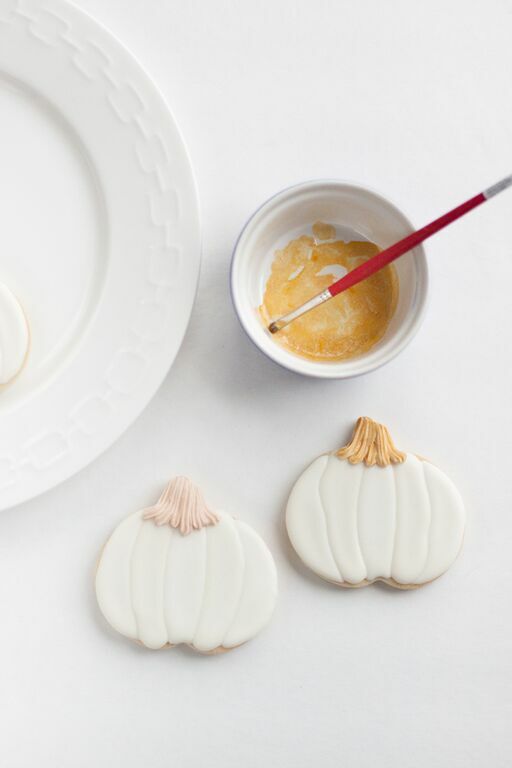 And voilà – simple, chic gilded pumpkin cookies! 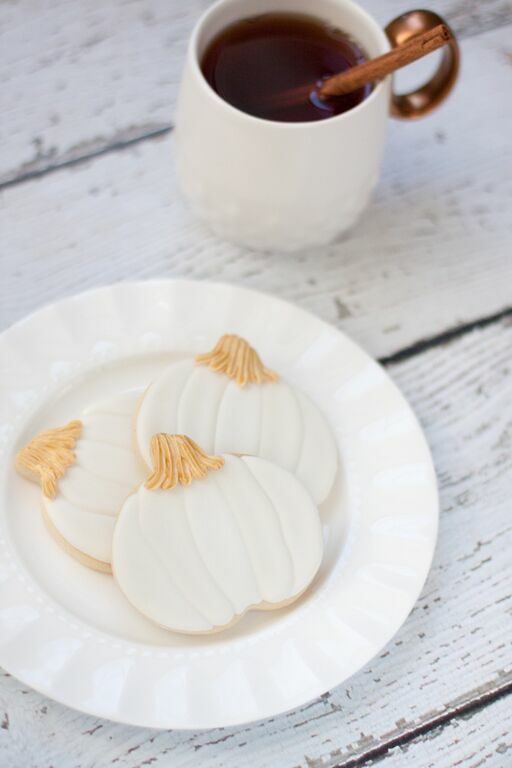 These are perfect treats for the Fall — how great would they be at each place setting for Thanksgiving dinner? Enjoy! P.S. – I’d love to see your creations! Tag me @hellobaked on Instagram if you try out this tutorial, and/or have any questions :) Good luck! Oh my goodness these are the cutest ever!! Love them! We love your blog and are sooo excited to meet you at the Kettle Brand Field Trip this week! Let us be the first (or close to) to welcome you to Portland!